Starting officially 1st of June, the hurricane season is a very important period of the year in Haiti. Very important for agricultural reason as rain is more than needed for the second harvest of the year. Very important as Haitians from abroad do choose the summer holidays period to visit their homeland. Very important as the period is full of festivities! Between re- born “Flower Carnival”, regular parties and summer beach parties, opportunities of celebrating are numerous! 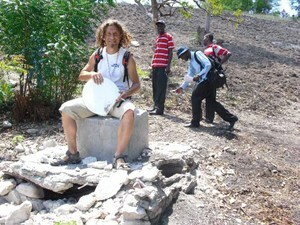 Communal week parties are also organized in all the main cities of Haiti one after the other during summer time! This year for example Petit Goave did celebrate the 350th anniversary of its creation mid-August with the most famous singers and bands of Haiti, including President Martelly himself, leaving his hat of president on the occasion to jump back into artist Sweet Micky ’s jacket!!! Despite all these festivities nobody can forget we’re in the heart of the hurricane season… the temperature is really high and humidity as well even if this year we’re missing… rain!!! Announced as a hurricane season to be feared with 18 tropical waves predicted and from which 8 should be given a name… meaning being at least a tropical storm, a terrible destructive hurricane for the worst! Haiti has a tight history with hurricane for being on the crossroad of the 3 main trajectories used by hurricanes since they have been officially recorded! In one way or the other it always looks like storm and hurricane are meant to come towards Haiti! Coming from Africa either through the Lesser Antilles or north of them or coming from the South over Jamaica most of the storms and hurricanes somehow manage to get to Haiti! Being really mountainous and completely deforested with less than 2% of the territory occupied with trees, Haiti is extremely vulnerable to floods and landslide when heavy rains! So far this year Haiti is lucky! 2 tropical storms in a row, called Chantal and Dorian, built up early in the West Atlantic Ocean with ideal trajectory to hit Haiti… Twice in a row, the storm did collapse just before reaching Haiti! Chantal especially which collapsed only around 50 kilometres before hitting southern Haiti! Lucky with storm, sure! But really unlucky with rain! The lack of regular rain in most of the parts of the country make specialist fearing a drought or at least such poor autumn harvest that many area might have to face a severe food crisis in the coming months. The hurricane season is so definitely not over! We would like to introduce our staff in Juba office. Gale Samuel Kenyi is 28 years old, from Kajo Keji. He has a wife and a child, but he is now living away from his family to work with JEN. He first started working with JEN as a Project Assistant, but because of his strong sense of responsibility and accuracy in work he is now in charge of administration. “I am motivated to learn about administration and accounting. 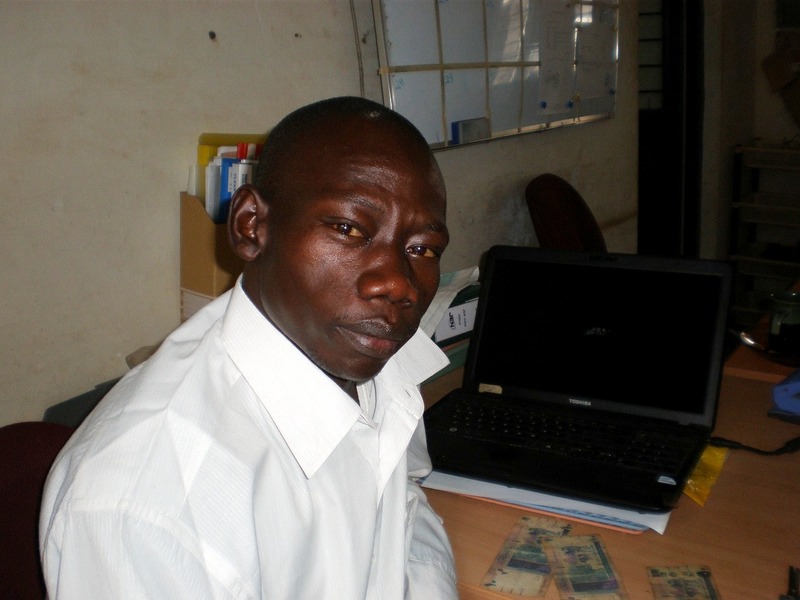 I would like to gain more experience and improve my skills in accounting and management, and contribute to peace and development in Southern Sudan,” says Gale who is reliable and makes suggestions for improvements in office. Justine Lasu James is 42 years old from Juba. He has a wife and five children. “I am very interested in the work of JEN which leads to my motivation,” he says. He is hard working, and is always looking out for work he could do. 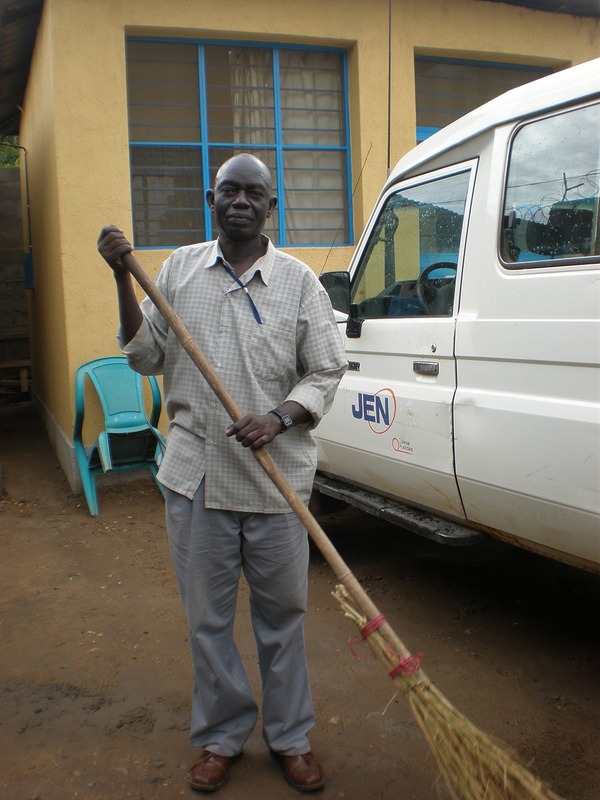 He fixes things that have been damaged from the heat and dust in Juba, and monitors our office space for safety and security. He is learning mechanical repair from a mechanic, wishing to be able to repair cars and generators in the future. 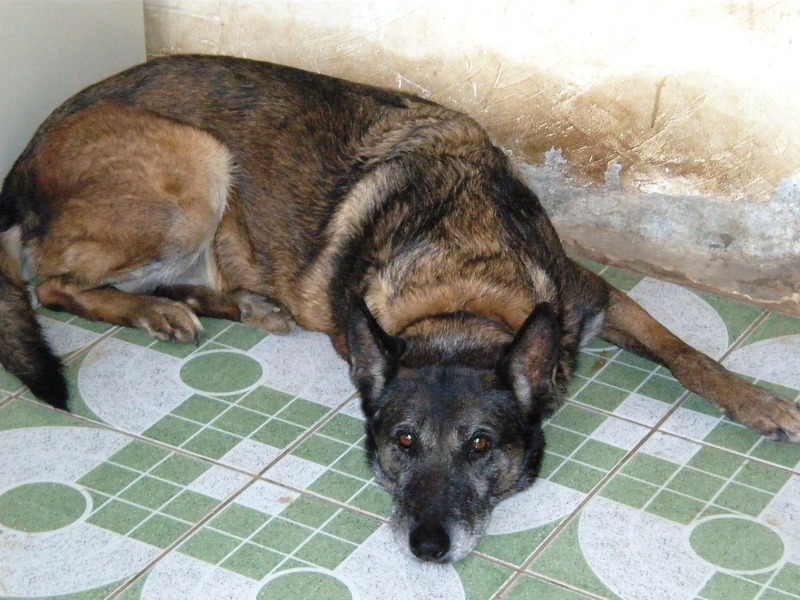 Kim is our watchdog in Juba office. He is on duty day and night for the safety of our staff. He can also predict weather. The rainy season started in March, and Kim takes shelter at office when it’s going to rain. Thanks to Kim, we can collect laundry from outside before it starts raining. Japan Emergency NGO (JEN), a Tokyo-based relief NGO with field offices in Afghanistan, Pakistan, Iraq, Sri Lanka, Sudan and Haiti, has regular open positions for full-time/Part-time internships at its Headquarters in Tokyo. JEN’s priority is restoring sustainable livelihoods to people affected economically and psychologically by conflicts and natural disasters. Further aims involve disseminating information regarding these victims’ suffering worldwide. Interns at the Headquarters should expect to gain practical skills, a greater understanding of the daily running of an international relief NGO, and the opportunity to cooperate with governmental, international as well as private entities in Japan. Working time: Mon. to Fri., 10:00-18:00 (five days per week) or 3 days a week ( minimum 6 months). - The candidates must understand JEN’s missions and activities. - The candidates need to have fluent command of both Japanese (native level) and English. Certificate of the Japanese language skill is required if the applicant’s mother tongue is not Japanese. - The candidates also need basic PC skills (Word, Exel, Email, etc.) Additional skills (database, picture processing, web design, etc.) will be a strong asset. -The candidates are expected to have strong communication and team-working skills, strategic thinking and ability to organize. -Candidates missing any documents based on the above criteria will not expect to receive any news from JEN. Interns will assist the domestic department (PR and fundraising) in Tokyo. Duties depend on each intern’s working period, skills and experience: such as, promoting partnerships with local medias, enterprises and supporters; drafting JEN’s publications (news letters, email magazines, etc. ); organizing public information events; assisting related seminars and meetings; or developing databases. The internship period can be either three, six or twelve months according to each candidate's availability. Interested candidates should submit their CV and motivation letter (around 1200 words) in English directly to the Headquarters. In the meantime, please specify available period of internship. E-mail is available. Kindly note that successful candidates must make their personal arrangement for board, lodging and other expenses while serving as interns in Tokyo. 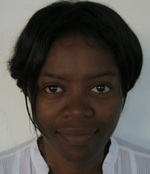 My name is Marie Dibangue, born in the city of Douala, which is an economic capital in Cameroon. I am the second child in the family of five children. I left Cameroon seven years ago for Beirut, Lebanon to continue my studies in political science at Saint Joseph University, where I obtained my Master’s degree in political science. I have also completed a professional training in mediation. Living in Lebanon provided me with an opportunity to supplement my theoretical studies with a one-of-kind field experience. Due to its ethnic complexity, ideological divisions, and the exterior interferences that have constantly challenged its independence, Lebanon is again undergoing multiple conflicts. In 2004, I joined an NGO where I conducted different actions to initiate peace dialogue and reconciliation among people in Lebanon. I participated in all kinds of activities there, of which the inauguration of free summer camps for children and reconstruction projects were particularly enjoyable. During the war in Lebanon in summer 2006, in response to the humanitarian emergency, I volunteered to host refugees from Southern Lebanon in shelters. Having been trained in methods of coaching and teaching youth through UNFPA-Lebanon, I taught courses in English and educated students on human rights in Marwahim in South Lebanon, at a local school that had been rebuilt after the 33-day war. I also participated in peace actions, especially in the countryside "Our Unity is Our Salvation" implemented by 49 NGOs during the year 2007, to restore hope in the inter-Lebanese dialogue. I have strong conviction in humanitarian action. I believe working with JEN is the perfect opportunity to fulfill my ambitions. In Haiti, I work as a program officer for JEN’s hygiene promotion project, which has been an extremely fascinating experience. I believed that our action can change people’s habits regarding hygiene. I am a French citizen born 37 years ago close to the border between Belgium, Luxembourg, and Germany. It has now been quite a long time since I left the Northeast side of France. With all my dreams of becoming a successful, professional sportsman ruined, I returned the year after that to the Northeast side of France to study business at a decent-sized city called Nancy. Two years later, after graduation and as I was ready to move to England for extensive studies, I got called by the national service… A ten-month compulsory service in the French army was the rule for all young French men at the time. Not interested at all in the army and especially spending ten dreary months not doing anything interesting with very little money (around 100 USD/month), I took the risk of applying for an extensive period with the possibility of being stationed abroad in exchange! Having been fascinated by Africa since I was a child, I of course applied for a position in the black continent among all other choices. I don’t remember being happier than the day I saw these two words in the letter asking me to be in the closest Air Force base to my parents’ home on January 4th, 1996. As I had expected and dreamt many times before, I spent two years in pure heaven in West Africa. As lucky as I was to get a fascinating job as a private secretary of the Chief of the French army Head Quarters there, I was also allowed a chance to take regular four-month holidays. Traveling for about three weeks every three to four months during these two years, I got to discover and experience much more than I had ever thought was possible. By the end of 1998, upon my return to the civilian life in France, I knew that one day I would work as humanitarian worker. Strangely enough, it was as a manager of a supermarket that I started my professional life… I spent three years in Paris followed by two years in Guadeloupe in the French West Indies, Caribbean, where I realized it was time to revisit my initial idea of joining the humanitarian world. Once again, however, reality turned my plan around completely, and I ended up living in Copenhagen, Denmark for seven years before finally working for JEN in Haiti as a humanitarian worker. Program officer since March 6th 2010, I have to say I am actually glad that it took me a long time to join the NGO world. I realize everyday how all the different experiences I have accumulated in my background are extremely useful.